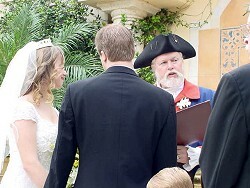 A swashbuckling wedding on land or at sea. Throw in the adventure, romance, and sheer fun of the high seas, and make your wedding a truly memorable event. 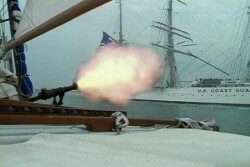 Fire the SOB out of a cannon for a memorable send off! Send the ashes overboard sewn up in a hammock and weighted down by Meka II’s 3lb shot.